Tender, hull-less, small kernel popcorn. 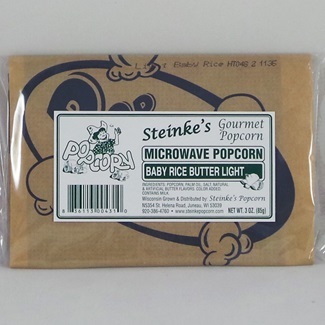 One light butter flavored microwave pack. 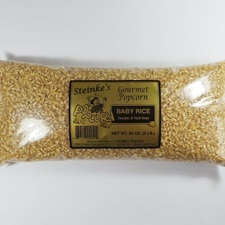 Baby Rice is a tender and hull-less popcorn. The small kernels are loaded with flavor and are a true delight to eat. 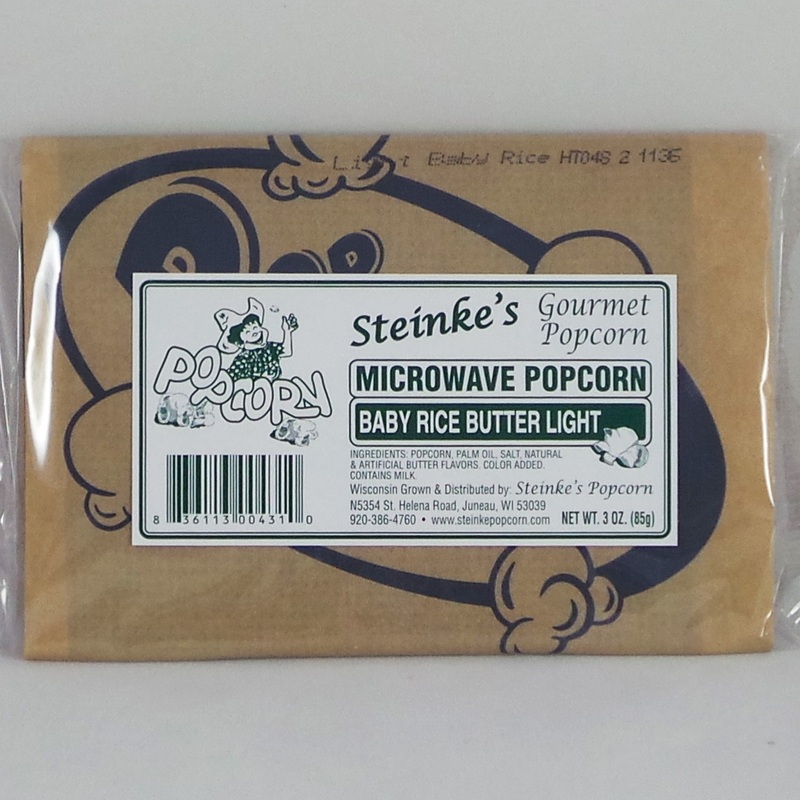 Try our convenient and easy to make microwave packs of light butter flavored Baby Rice popcorn. 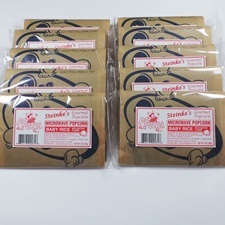 Popcorn, palm oil, salt, natural and artifcial butter flavors. Color added. Contains milk. 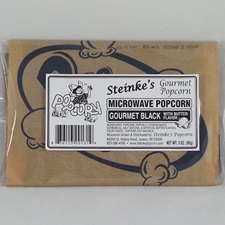 Wisconsin grown and distributed by Steinke's Popcorn.